UF 2021 OFFICIAL DISCUSSION PAGE!!! Replies to: UF 2021 OFFICIAL DISCUSSION PAGE!!! @hopefulundertone It's easy. Freshman are admitted to the University and not to the college/major. You can pick any major and UF makes it easy to switch majors, up until you have to commit (usually the start of your junior year). Thank you @Gator88NE! Somebody asked that question on our family page and we had a somewhat ambiguous response (at least it seemed to me). But it was easy for my son right before classes started. My son sure as heck did NOT want CLAS with a potential language requirement. !!! Always best to check with UF or @Gator88NE. I am going to work out here shortly and I'm hoping to come back to LOTS OF GREAT NEWS!!! I'm at work and I Just know it's going to be busy right when decisions are released. Oh well best of luck to all of you!! I'm more nervous than my daughter. This is ridiculous. Glad to find company with others who are watching the clock. I'm curious - why UF? I think it's a great choice for my dd (if she gets in, fingers crossed) but she's worried about the big class sizes. Don't get me wrong, it's a top pick for her but she doesn't have a number one pick. 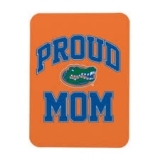 @968Mom uf isn't my top choice because I refuse to have one, but it's school spirit is amazing. The students are very academically focused and they have some of the best professors in the world. Also the campus is beautiful and the instate Tuition is cheap. There are a lot of schools like this but every person feels at home at different schools. Sure class sizes are big, but unless your school has <5,000 people, classes are likely to be decently big. 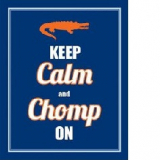 @968Mom - I felt that way, too, about UF at first. Gainesville has grown on me very much. There is a special quality at UF that is hard to quantify. Of course it is like any large university - always going to be positives and negatives. But my son has been very happy at UF so far and is receiving an excellent education. He will be thankful to have a UF diploma some day, God willing. It really does mean something. Wishing you and everyone all the best. It will work out the way it is supposed to. This time last year I was convinced my son would be somewhere else right now.